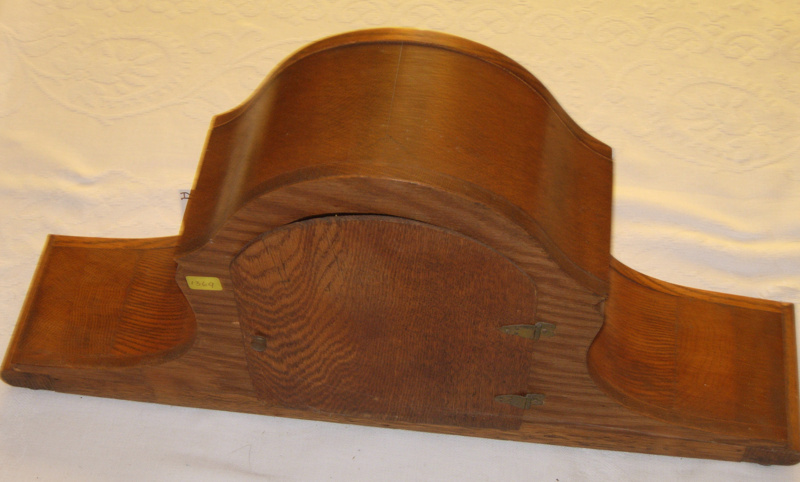 An oak mantle clock. 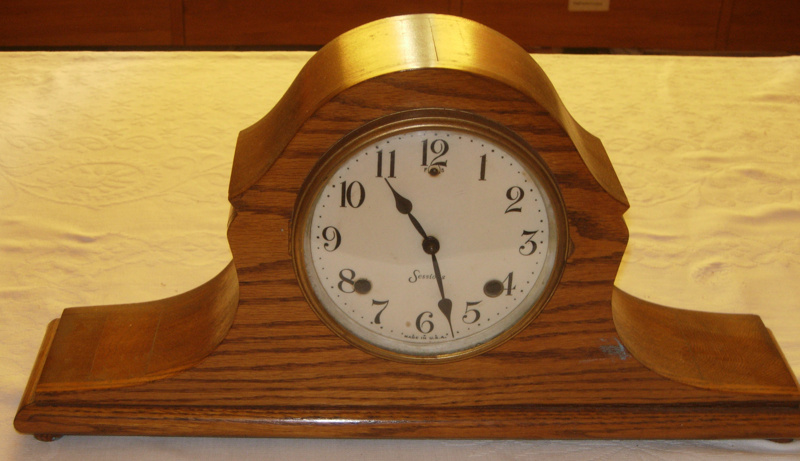 Brass framed circular clock face with glass front. Hinged to pull open and adjust time. Clock face has 'Sessions' and 'Made in USA' as well as 1-12 Roman numerals. 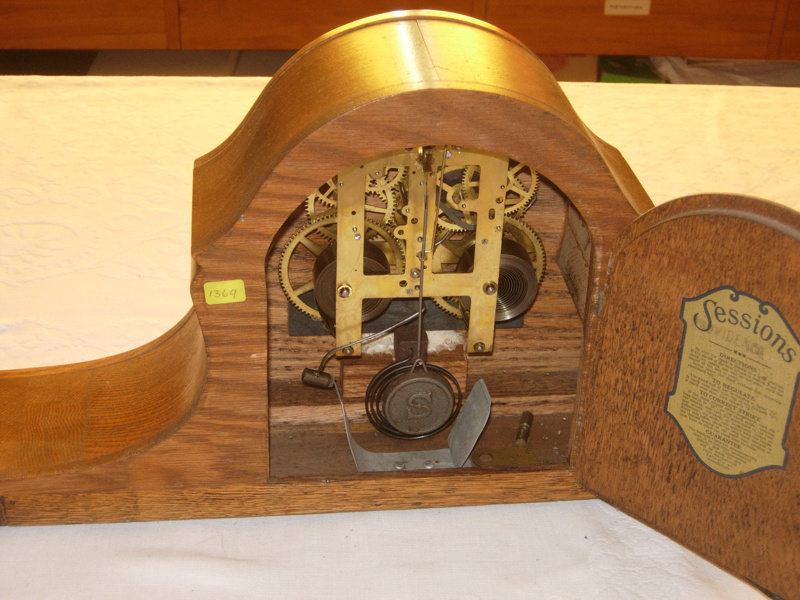 Oak wooden frame has a hinged door at back to see inner workings of clock. 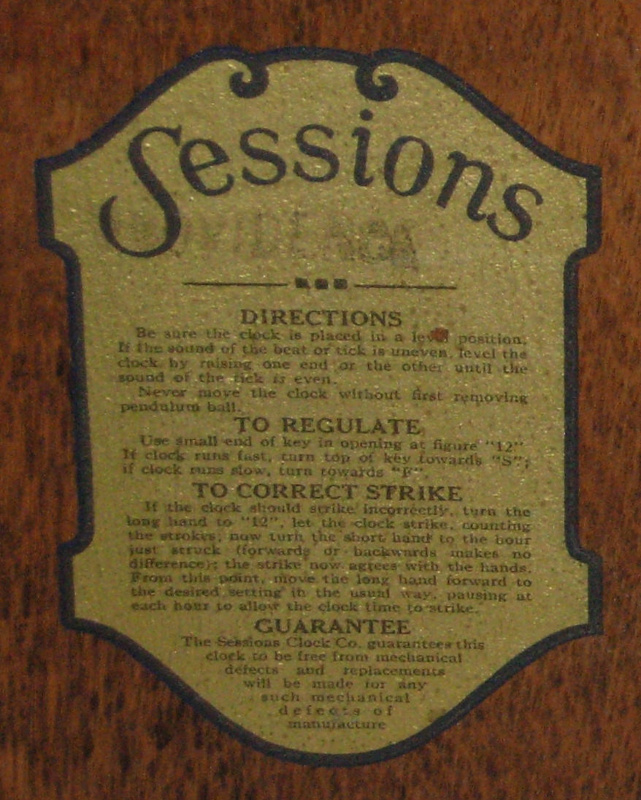 Inside of door has an attached brass plate 'Sessions Clock Co.' plus directions and guarantee. 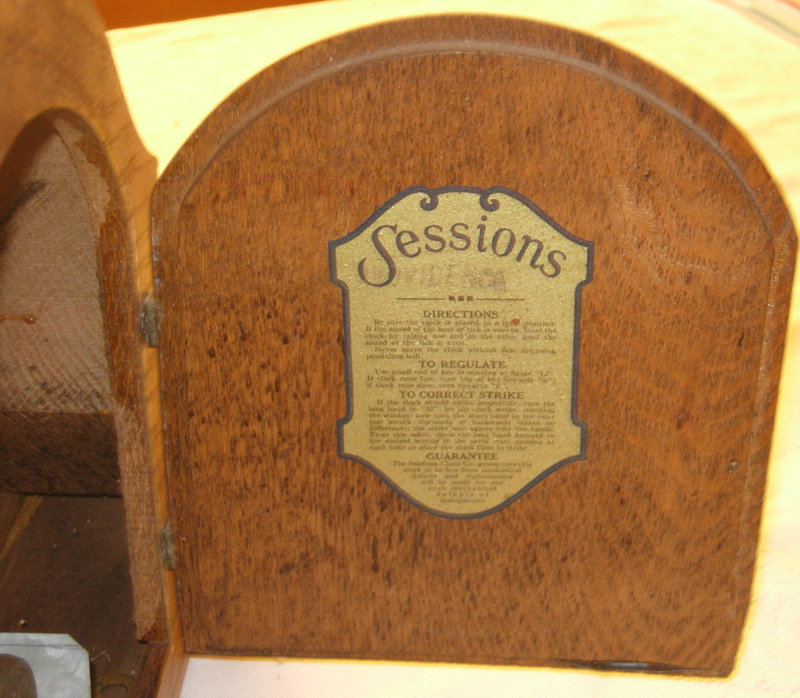 Wooden frame has C J White - MNZH2 stamped on bottom. 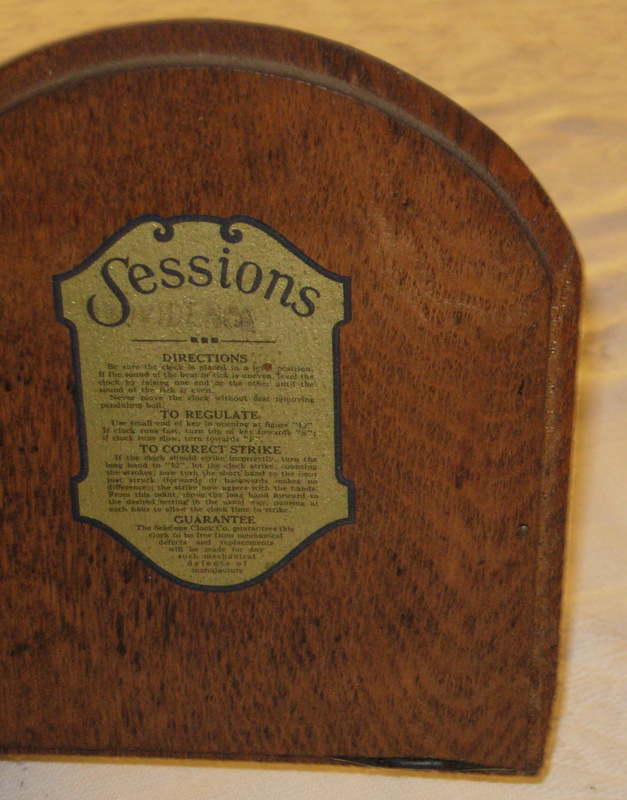 Possibly the maker who used Sessions parts and mounted them in the frame. Wooden frame has C J White - NNZH2 stamped on bottom.